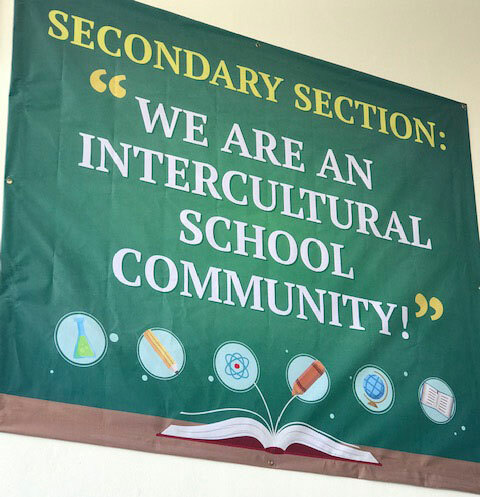 WE ARE AN INTERCULTURAL SCHOOL COMMUNITY! Bloomsbury is an intercultural school community in which all cultures and subcultures are welcomed, respected and celebrated. We prepare our students not just for tests, examinations, graduation and university entrance but also for global citizenship. 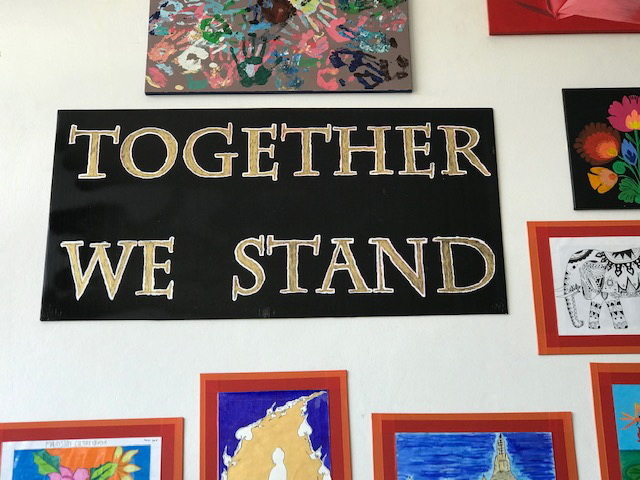 A key element in this process is interculturalism - a philosophy and practice to which we are all fully committed in our teaching, learning, school ethos, events, activities and interactions. We regard our adherence to best practice as entailing an obligation on the school to improve performance vis-à-vis interculturalism continuously and to ensure that not only our academic provision but also every aspect of our school operation (a category that includes the work of our administrative and support staff as well as that of our management, administration and teachers/TAs) is imbued with the principles and values this involves. 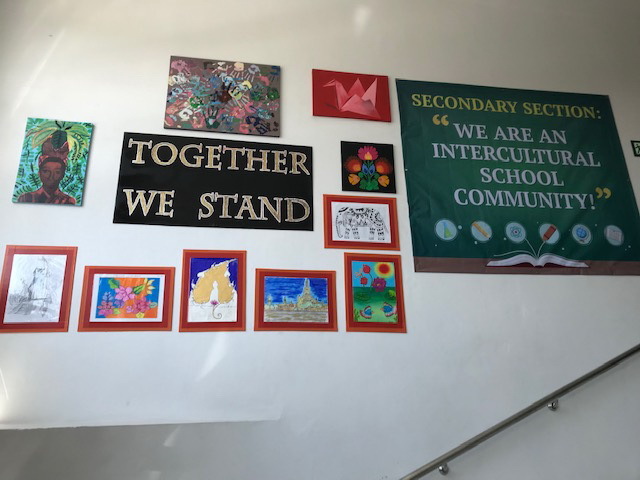 Our Secondary students have created a collage of pictures that reflect their various cultures within the context of interculturalism. These are shown below partly to showcase students' artistic skills (of which the school is very proud) and partly to demonstrate how the principles and values referred to above can be illustrated in colourful, relevant and personalised ways by members of our student body.